A Bucks County corrections officer who charged undercover investigators for a guided fishing trip this summer while receiving workers’ compensation may be in a boatload of trouble. Carl Wayne Stokes, 51, of Bridgeton Township, will be subject to the scales of justice after being arraigned Wednesday morning on counts of workers’ compensation fraud, theft and unsworn falsification after turning himself in to authorities. According to an affidavit of probable cause, Stokes received workers’ compensation assistance since Nov. 1 as a result of an on-the-job injury at the Bucks County Correctional Facility. On May 1, Stokes filed paperwork indicating his physical condition was unchanged and said a doctor recommended “permanent restrictions” on his activity. He also reported that he had not been employed at any time since receiving the benefits. But Facebook posts dating back to January 10, 2018, show Stokes offering guided fishing tours on the Delaware River through the fishing charter service Reel Adventures. Additional posts from April discussed his work as a fishing guide. Smelling something fishy, Bucks County detectives scheduled a half-day outing with Stokes for June 26, arranging to leave from Laceyville, Wyoming County, on the Susquehanna River. Two undercover detectives went on the trip, during which Stokes moved about the boat without impediment, fished with the detectives and at some point leaned over the water from the boat to assist in retrieving the detectives’ lures. 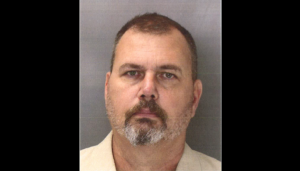 Stokes told the detectives during the trip that he had been employed at the Bucks County Sheriff’s Office, and was out of work receiving workers’ compensation benefits for an injury sustained while working there in 2015, according to the affidavit. He purportedly also bragged about being booked through the summer with additional fishing trips. The detectives paid Stokes $240 for the trip. According to the criminal complaint, when confronted by investigators in July, Stokes said he thought he was safe reporting he was not employed because he was not making money. Investigators say Stokes also had a previous workers’ compensation claim which was suspended after a number of Facebook posts showed him engaged in activities in contradiction with his medical limitations. District Judge Gary Gambardella set bail at $100,000 unsecured and scheduled a preliminary hearing for Oct. 29. The case was referred to the District Attorney’s Office through the Bucks County Controller’s Office. Defendants are presumed innocent unless and until proven guilty in a court of law or their rights are waived. I am constantly amazed at the number of people who are collecting compensation and/or disability payments. They all seem to be so proud of themselves and happy to tell you how they did it. I truly hope Karma catches up with them. This story made me happy!